The temperance movement first appeared in America in the 1820s as an outgrowth of the same evangelical fervor that fostered a wide range of reform campaigns. Like many of these movements, temperance was confined primarily to the northeastern United States during the antebellum period. Viewed with suspicion by Southerners because of its close connection to the antislavery movement, prohibition sentiment remained relatively weak in the antebellum South. After the Civil War, however, southern evangelicals embraced the movement, and by 1915, liquor had been officially banned from the region. 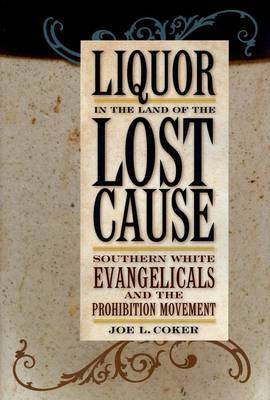 ""Liquor in the Land of the Lost Cause"" examines how southern evangelical men and women transformed a Yankee moral reform movement into an ideology that was compatible with southern culture and values.